VDMA Textile Care, Fabric and Leather Technologies with high expectations for Texprocess 2019. Where does the industry stand? 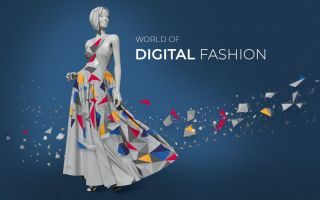 The industry looks forward to Texprocess, the leading trade fair for processing textile and flexible materials, taking place in Frankfurt from 14 to 17 May 2019. 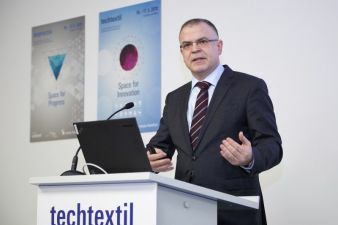 “Sales in the entire German Textile Care, Fabric and Leather Technologies sector rose by 5.7 percent in real terms year-on-year in the months from January to October 2018,” explained Elgar Straub, Managing Director of VDMA Textile Care, Fabric and Leather Technologies, at Texprocess's international press conference in Frankfurt. “Incoming orders fell by 21 percent in real terms over the same period. Now the industry is pinning its hopes on a successful Texprocess in Frankfurt,” Straub continued. 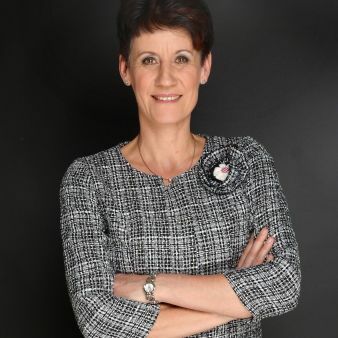 Where does the industry stand, particularly in terms of digitisation, automation, robotization and artificial intelligence, and what does the future hold for garment technology and the processing of technical textiles? Answers will be provided by this year’s Texprocess! 3D body scanners and 3D simulation software are used in design and collection creation. Materials are cleared on cutting tables with robots and gripping systems. Manufacturers of sewing machines are already networking complete factories across national borders, with real-time analysis of the machine data obtained. Big data systems, which can be dialed into using RFID tags, for example, can be used to monitor entire productions. Also, in the fusing process, the automatic allocation, control and documentation of the processing parameters temperature, pressure, fusing time takes place for coded product carriers (e.g. via RFID), while a permanent self-check of the fusing machine for wear, defect and cleaning condition takes place. Individual products – how to produce? 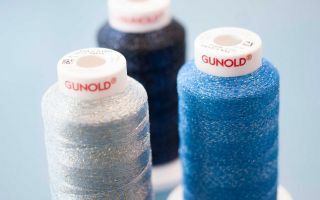 The increased demand for individual products is also increasing the need for automation and digitization: through automation in the embroidery sector, individual embroidery in batch size 1 is already possible. Via software and an online platform, the customer can order his individually embroidered textiles directly from the textile retailer, who embroiders the textiles with the help of integrated embroidery machines. 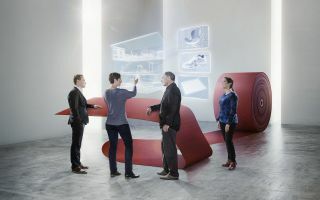 The shoe production process also begins on a digital platform where customers can design their own shoes according to their individual preferences and biometric characteristics. This order is forwarded to the producer, who has available capacities and meets the qualification requirements and price expectations of the shoe brand. The shoes are identifiable and traceable throughout production and are delivered directly to the customer after production. Texprocess is the leading international trade fair for the processing of textile and flexible materials. From 14 to 17 May 2019, international exhibitors will be presenting the latest machinery, systems, processes and services for the manufacture of garment and textile and flexible materials to trade visitors at Texprocess for the fifth time. Techtextil, the leading international trade fair for technical textiles and nonwovens, is taking place parallel to Texprocess.